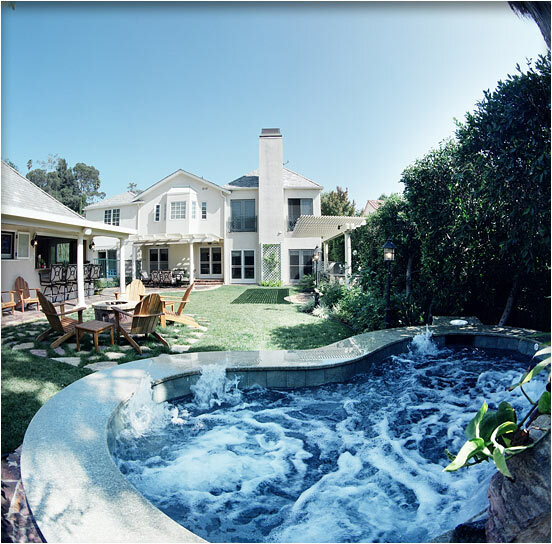 Larger Project 5-1, Rear Yard » Roger Perron Inc.
We designed and remodeled the whole rear yard of this Los Feliz home along with a series of home improvements. Here we built a spa with granite seating around, then created a barbeque area. Next we added a guesthouse and an indoor/outdoor kitchen. We also designed and installed the landscaping. The yard had a pool which we removed, as the owners didn’t use it.